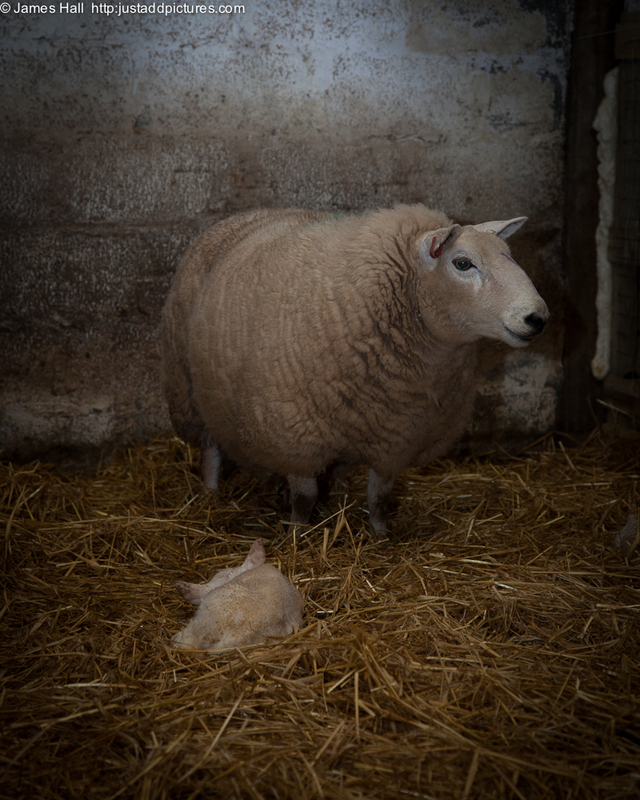 Lambing continues steadily. It was a wet nasty day to day and so the doors to the lambing shed were closed. There was a low warm light which allowed me to capture this image.